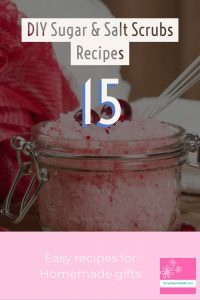 There are plenty of unique recipes for salt or sugar scrubs using easily obtained ingredients which can be made either scented or unscented. If you like natural products then essential oils are the best rather than synthetic scents. 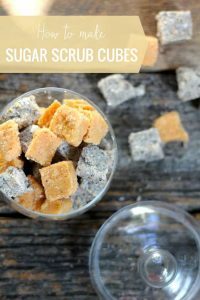 Can you combine Sugar and Salt in Scrubs? 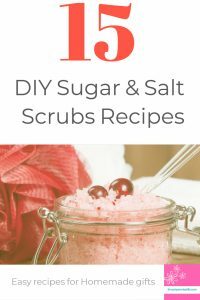 You can use a combination of sugar and salt and I have included a recipe below for this but you have to bear in mind salt can irritate sensitive skin and it would be best to do a patch test before you use it. 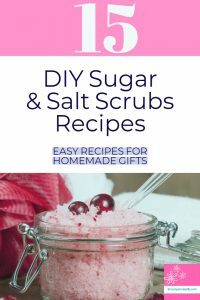 If you are making it for a gift then I recommend making a sugar recipe. What about using Epsom salts? 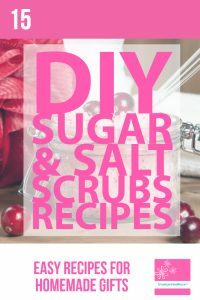 The answer is yes you can you use Epsom salts in Scrubs and I will include a fabulous recipe which has Epsom salts in it. Looking for Epsom salts here are 5 Star reviews you can choose anything you like! From a list of different Epsom Salts options here on Amazon. 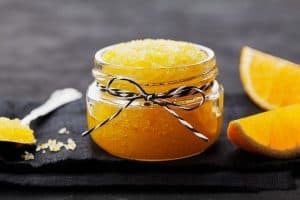 Sugar scrubs – What is the best sugar to use? 5 star review options for Amazon available just now click this link. 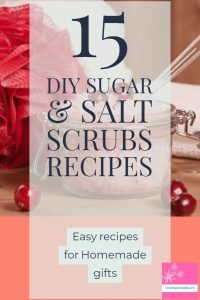 Salt Scrubs- What is the best Salt to use? 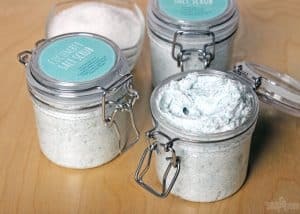 Salt scrubs can be made using good old table salt but the coarser the salt the more exfoliation you can achieve. 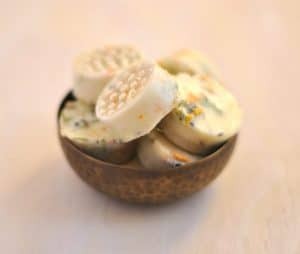 These can be made with Sea salts my favorite is Sea Salt. If you are looking for Sea Salts then Himalayan Sea Salts are great I love using them for their color too. available on Amazon just now. It comes in a resealable bag and is fine grade food standard salt making it great for facial scrubs not too rough on your skin but rough enough to exfoliate. 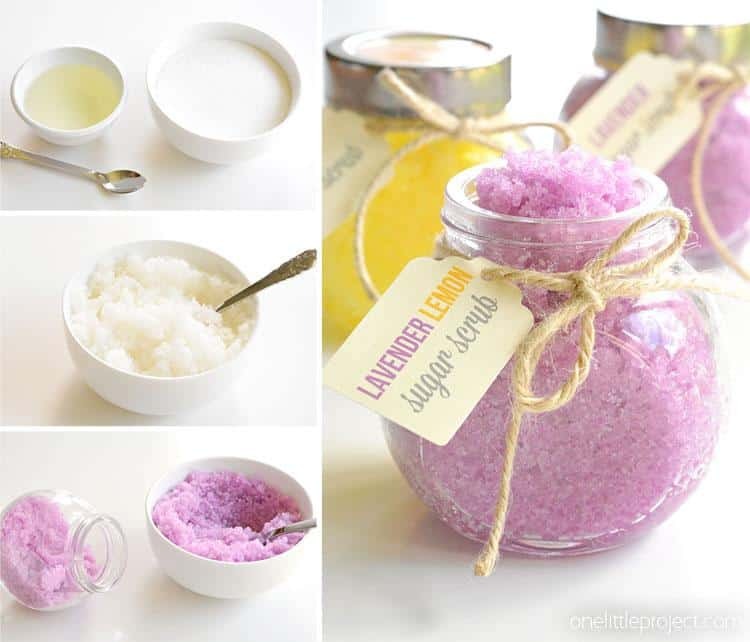 Similarly with salt scrubs use one cup of salt to half a cup of oils. Carrier oils which you can buy from Essential depot at a really reasonable price – I recommend you go with lighter oils for instance Apricot kernel Oil and if you need to make a few scrub this quart bottle is great value. You should use about ¾ of a cup of oil in your scrubs. Essential oils or fragrance oils which again you can buy here from Essential depot my personal favourite is floral scents especially for a scrub like Geranium which you can buy here. How long should you keep your scrubs really as short as possible timescale – if you add preservative this can help extend the life of the products and here are some suggestions from Soap queen. 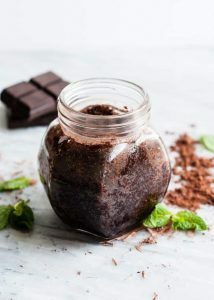 You may be wondering why you would want to add a preservative – this is generally used when the product has water or may come into contact with water – now have a think for a sec if you are using salt or sugar scrubs even if they are made with 100% oils where are you applying them?? Yep- you guessed it in the shower or bath so you could introduce some water and put them at risk of going moldy. How about these 5 Star Rated Hexagon Jars. There are some fantastic jars which would make great presents for facial scrubs this one below which is round rather than hexagon? Using Essentials oils in your scrubs makes them smell gorgeous and you also know that they are natural products, not synthetic scents. Although the range of synthetic scents is available in a huge variety of smells I do still like using something that’s natural on my skin. 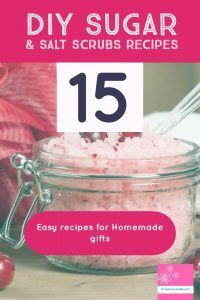 Let’s get down to business how about a lovely collection of only the best recipes for Sugar or Salt scrubs for you to try today if you are looking to make that last minute handmade gift. 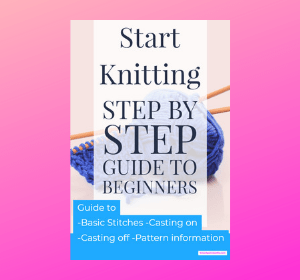 This is a beautiful one from Onelittleproject she includes step by step instructions as well. 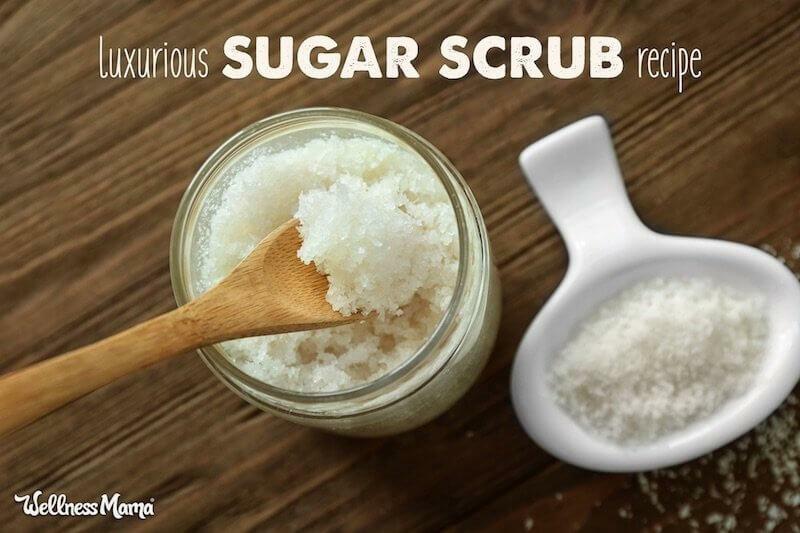 Make a 5 minute scrub today! 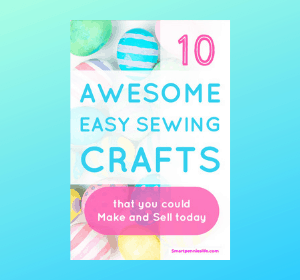 If you are looking for this gorgeous recipe then find the instructions here. to the skin than coconut oil which can be a bit harsh. and if you really want to push the boat out how about Rose Essential oil from Essential Depot. 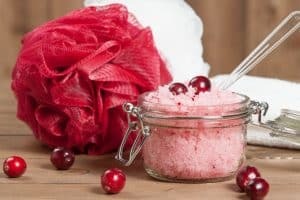 Sage and blackberry sugar scrub recipe sounds like a wonderful autumnal option to invigorate you when the weather turns chilly. Sage has anti-aging benefits, antibacterial and anti-inflammatory. Blueberries contain the salt of salicylic acid. Salicylic acid helps to remove dead skin and is anti-bacterial. It would be great to clear acne! Want to try this recipe click here. 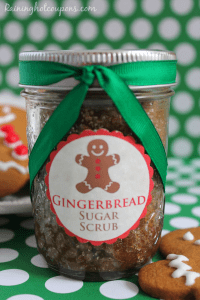 It uses spices to make up the scent rather than oils if you want a ready-made scent of gingerbread then HERE is one you can purchase ready-made up Amazon USA and please note you will need to carefully dilute it in oil you are using for the scrub before adding to the sugar again patch test before use. Lemonade and its pink two all-time favorite combos for girlies. 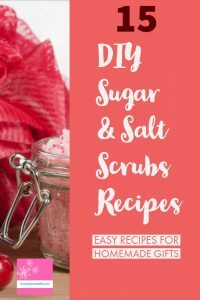 This is an easy basic recipe for Sugar and Salt Scrub with Peppermint essential oil. 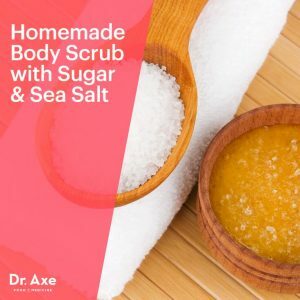 If you want to try something different how about this Sugar and salt scrub you get the advantage of both sugar and salt in your scrub. If you are looking to purchase Peppermint essential oil Essential depot sell it at a great price. Here is the recipe if you want to try it out. 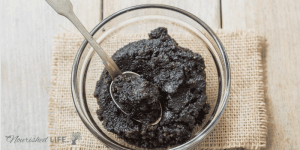 How about a Coffee, Ginger, and Sugar Scrub for the recipe click here. Definitely not for your coffee or tea! Wanting to find out how to make that recipe then check it out here. Exfoliating Sea Salt Hand scrub recipe is here. by using chocolate scent from Essential Depot. 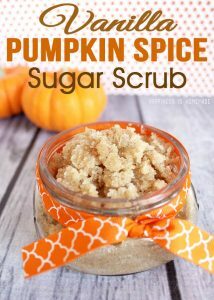 You can find the recipe for the delicious scrub by clicking on the link here. 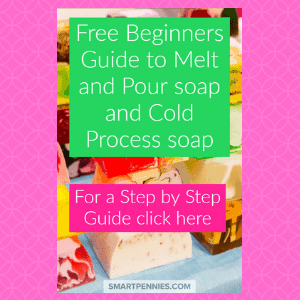 One of my favourite resources for bath and body items is from soapqueen.com – Anna-Marie has fabulous recipes for all sorts of things and if you want to find out about soap making then check out my post. Give it a try if you want to try something different you can find the recipe here. Any of these scrubs would be great for Christmas presents, mother’s day gifts or any other gift you which you can personalize for the person. 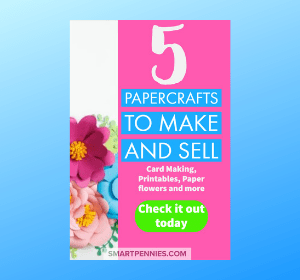 Of course, they are so quick and easy to make you don’t even need to make them for gifts. You can treat yourself to gorgeous skin with lovely scents. Give any of the options above a try today.